Greetings all, took my first ride on my first road bike today. Just a quick 10 miles to get the feel and make some adjustments. I have been mountain biking a lot for the last couple years and I wanted to change it up a bit. I was referred to this site from MTBR. Looking forward to gaining knowledge on this forum and meeting people during this chapter. Last edited by LindenWay; 10-15-2018 at 07:52 AM. Welcome aboard. When you have a question, first do a search (it might have been discussed just last week) and then post in the right sub-forum. You'll get more relevant advice and less "coaching"
… plus, the OP took the pic of the driveside of the bike!!! Welcome to your winter home (if you live in a place where winter is winter). Think I'm going to love this bike. It was shipped to me and after I finished the assembly I got it so clean I had to bring it inside for the photo shoot. ;) I always try to show off the components or my carbon exhaust on my motorcycle so yes I am vain enough to shoot the correct side most of the time. I don't experience winters but your'e not going to hear me say I love living in CA because I really really don't. I want to move some day because...not for this forum. But there are some really great places to ride and IMO riding season is just getting started. 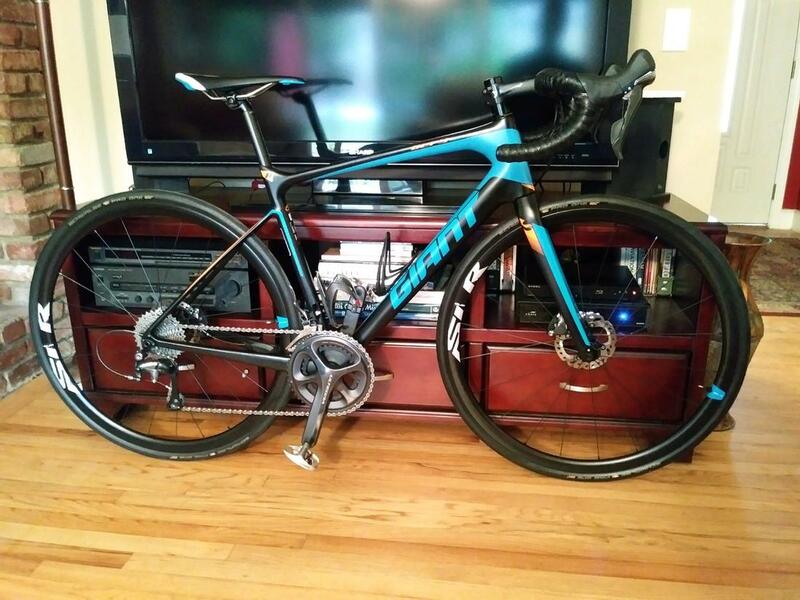 That is a pretty impressive first road bike. Well done. I don't know what part of California you're from (doesn't really matter, it being such a small state), but I was always impressed with the variety of group rides down there. Take advantage of the scene, because many parts of the country aren't so lucky in that regard. Thanks, will enjoy it while I can. I love that bike , BTW. Seasons Greetings or Season's Greetings?